“His name was: Abd al-Aziz ibn Ja’far ibn Muhammad ibn Ishaq ibn Muhammad ibn Khuwast al-Farisi al-Baghdadi. He lived in Anda (?) in al-Andalus and was known as Abu al-Qasim. While in the East, he learned from the scholars Abu Bakr Muhammad ibn Abd al-Razzaq al-Tammar, Ismail al-Saffar, Abu Bakr Muhammad ibn al-Hasan al-Naqqash and others. Among those who narrated [hadith] from him was Abu al-Walid ibn al-Faradi (d. 1012), the Qadi of Valencia, who met him in that city in Rabi al-Awwal of 400 A.H. [October 1009]. 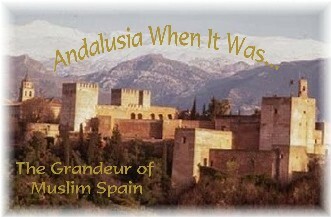 He had first arrived in al-Andalus as a merchant in the year 350 A.H. . According to Hakam ibn Muhammad, he had been born in Rajab of 320 A.H. . The Kitab al-Silla contains literally dozens of more entries for various scholars of Persian origin who lived in al-Andalus. If I come across any others particularly worthy of mention, I’ll definitely share.